Google has released Trekker, an application with the capability of uploading imagery from hard to reach places on earth. The company has invited tourism boards, non-profits, university and research organizations to help further Google Maps. 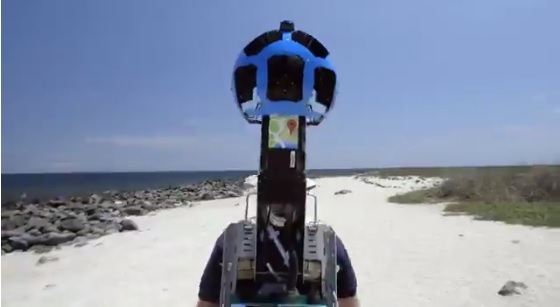 Trekker consists equipment utilized by Google in its Street View project. This includes a 42 pound backpack for accessing areas that can’t be reached by bulky camera rigs. It has 15 lenses angled at different directions giving the images a 360-degree panoramic view. Photos are taken every 2.5 seconds as the operator walks. The first collection created by the camera was that of Arizona’s Grand Canyon. Individuals applying to use Trekker are required to describe their reasons for making the journey and the nature of their help should they acquire the permission to access the destination.